Don’t worry, the title will make sense by the end of the post. I recently received an email asking me if I wanted to preview a copy of a new book that would be making its way onto the market soon. 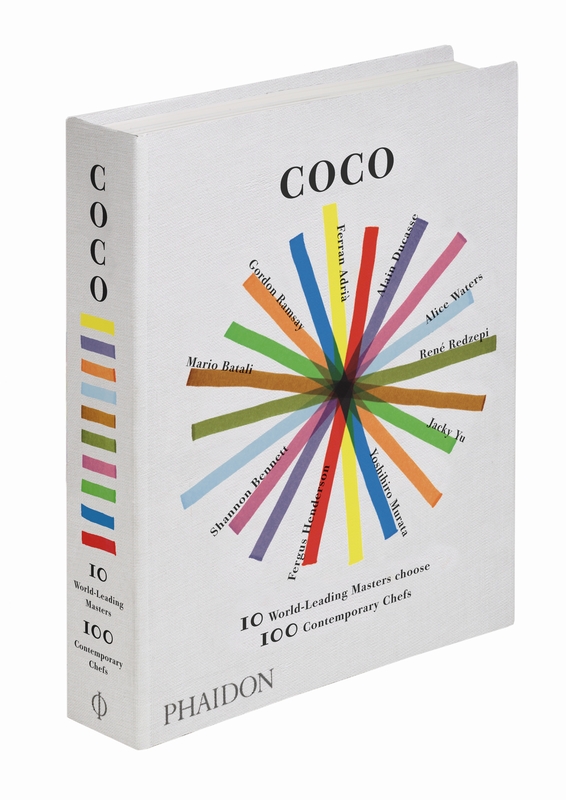 The book is called Coco, which doesn’t particularly help in identifying what type of book it might be. Once I found out it had something to do with food, restaurants and famous chefs, I of course said yes. And it turned out that Coco and her promoters had much more in store for me than just a review copy of the book…but first a few facts and opinions about this unusual book. After a week or so of heavy anticipation, the evening finally arrived, and first on the stop was a mysterious meeting-up location: The House of St Barnabas in Soho. All I knew was that (I thought) it had something to do with a charity, and wasn’t quite sure about why we were meeting there. It all became clear though once the well-healed bouncers finally let us through the doors. It turns out that this beautifully revamped building has been turned into a ‘pop-up private members club’ by the folks at Quintessentially and that we were to have canapés in a nice little room upstairs. As we were all getting acquainted with each other (which can be odd for food bloggers as quite often we communicate regularly with each other via social media without first meeting face to face), we were offered champagne and some of the most beautifully presented canapés I’ve seen. Many of the nibbles we had are presented in Coco and they were all pretty more-ish. My favorite was probably the tuna tataki with radish, apple and mustard served on chopsticks. I also liked the salt & pepper crusted beef skewers with horseradish cream (though, to my taste, it was a tad too heavy on the seasoning). 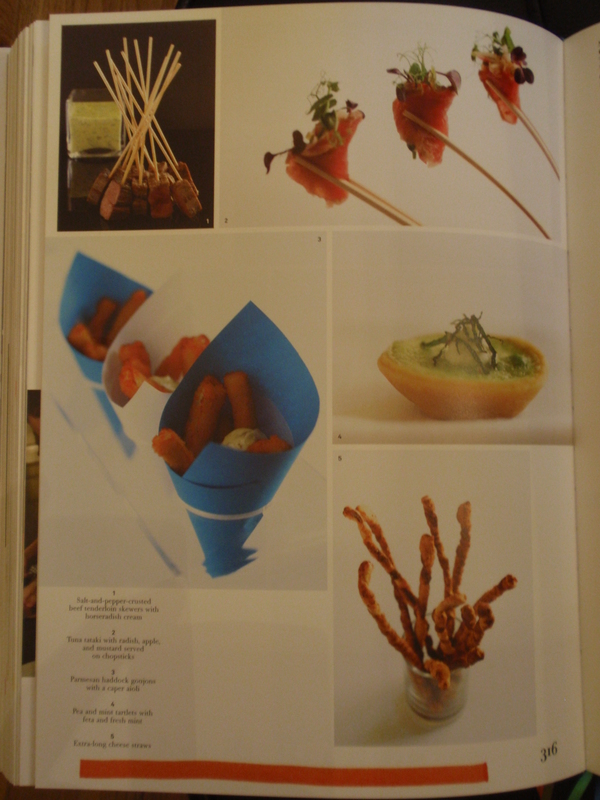 Both of these were presented in an innovative and appetizing fashion (see page from the book above), and I loved the fact that many of the canapés were served on trays which were elaborately framed antique-looking mirrors that faced upwards. I had the chance to speak with Lyndy for a good 10 minutes (in-keeping with Coco’s measurement units, I guess) and found her to be a very personable and down-to-earth woman who was clearly passionate about what she did. We had a nice chat about her experiences working with Gordon Ramsay over the years which I found to be both enjoyable and enlightening. Having been to the New York version of the original London Maze, and having had a pretty decent meal there, I was really looking forward to a taste of Jason Atherton’s cooking. I had booked a table at Maze a while ago, but subsequently cancelled due to negative feedback I got from fellow food bloggers and other friends who had recently dined there. I was hoping that they might all be wrong as, in theory, I thought I would like Atherton’s style of cooking which is centered around small plates that employ often unusual flavor combinations in his own version of fusion cuisine. 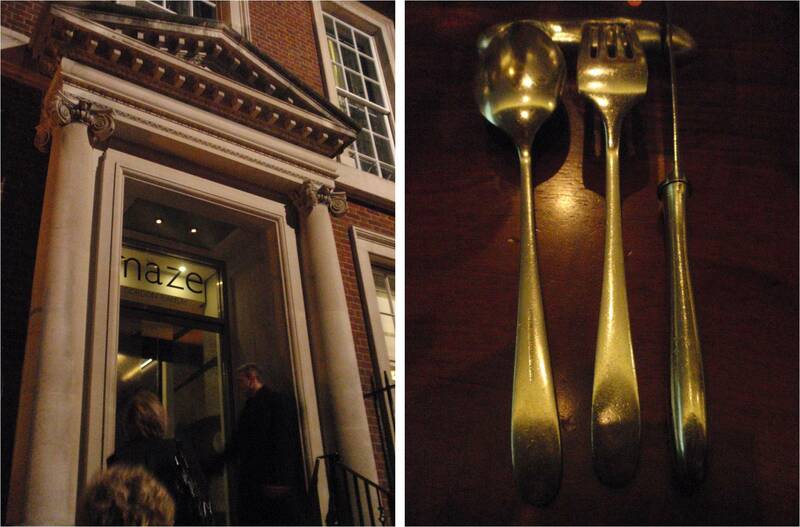 The fine dining room at Maze (to the left when you walk in – to the right is Maze Grill) was dimly lit and seemed to have a little bit of a buzz going. There were signature Gordon Ramsay Holding design elements throughout and I generally thought it seemed liked a nice space, although a bit corporate and lacking in individuality. The staff were professional but not all that engaging. The little bowl of food we were served certainly looked interesting, and the assembly of flavors and textures had us all commenting – some positive, some negative, some neutral. For my part, I thought the red mullet had been cooked very well (a nice texture if maybe a tad dry) and that it tasted very good. The bolognese was certainly rich and flavorsome. But I guess the real question was whether they belonged together on the same plate. Eating them together wasn’t at all unpleasant (nothing stuck out sorely), but I don’t think it was quite harmonious either as neither element lifted the other. If anything, the bolognese overpowered the delicate flavors of the fish. 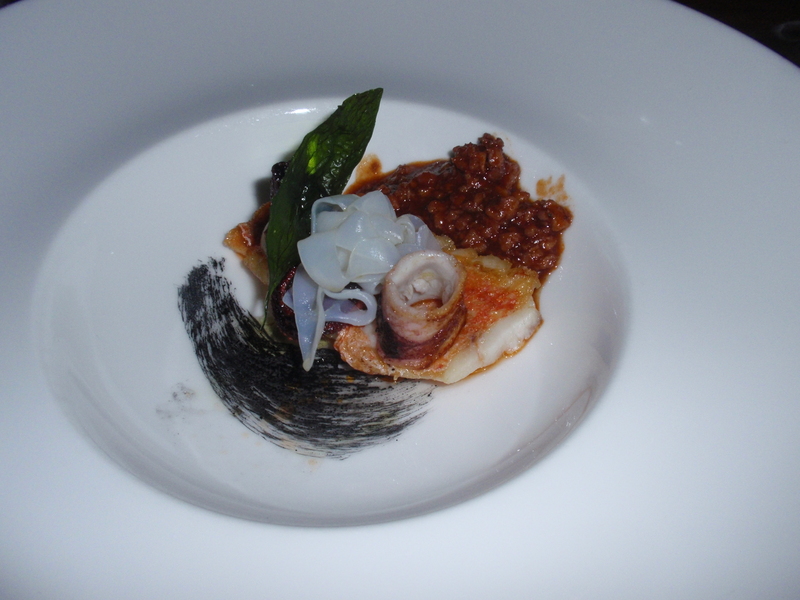 And I didn’t really see the point of the two cuttlefish rings on top as they kind of got lost in the mix. Finally, all the textures were quite soft; it could have used something to provide a bit of bite. So, while it was interesting and sort of tasty, it certainly wasn’t perfection on a plate for me. Unfortunately, Chef Atherton didn’t seem to be around, so after finishing up the starter we were on our way back to the mini-bus for the next stop. 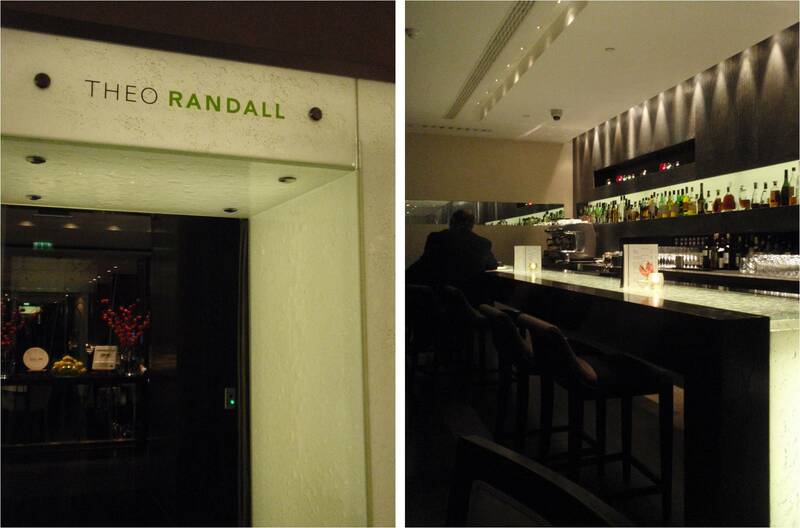 Next up was a brief trip to Italy, within the confines of a big corporate London hotel. I had never been to either the InterContinental Hotel London or Theo Randall’s restaurant there, and was looking forward to it. After all, he was head chef at one of my favorite London restaurants – River Cafe – for aeons and I like his Italian cooking. 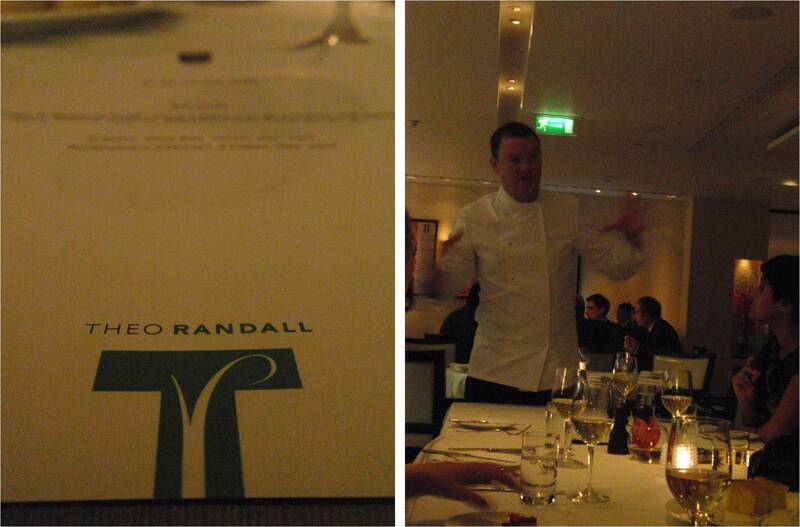 This time, Theo himself came out to our table and gave us the background to the dish we were about to eat. He had an infectious enthusiasm and a bubbly passion that quickly won everyone over. After learning about the different techniques of catching and storing fish in Scotland, the quite sizable dish was served. Phwoah, now that looked like a hearty plate of food. I’m not sure my photo really does it justice in terms of how it looked, though it was quite a rustic presentation, which is fine for me with Italian food. The monkfish itself was amazing, and should have theoretically paired well with the Parma ham but I found that the saltiness took over a bit too much. 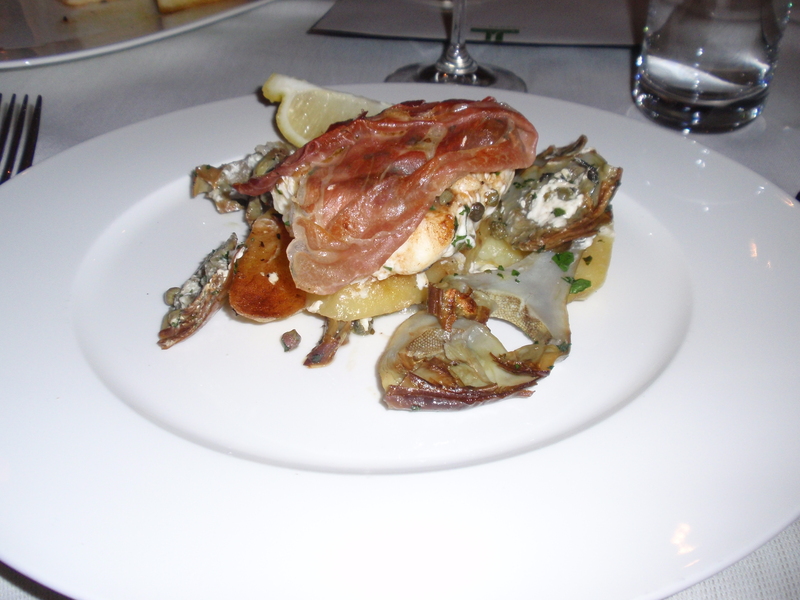 However, for me the star of the plate were the artichokes, and I don’t even normally like artichokes. They had been peeled down and soaked in some sort of delicious marinade for hours and were simply divine – without a doubt the best I’ve ever tasted. The service at the restaurant was very attentive and good, and although the room definitely had the hi-I’m-part-of-a-hotel feel about it, they had managed to add some warmth through the quality of the staff. Theo was also a gracious host throughout and even indulged us by letting us take photos with him as we were leaving and answering the odd question. He genuinely seemed like a really nice guy. 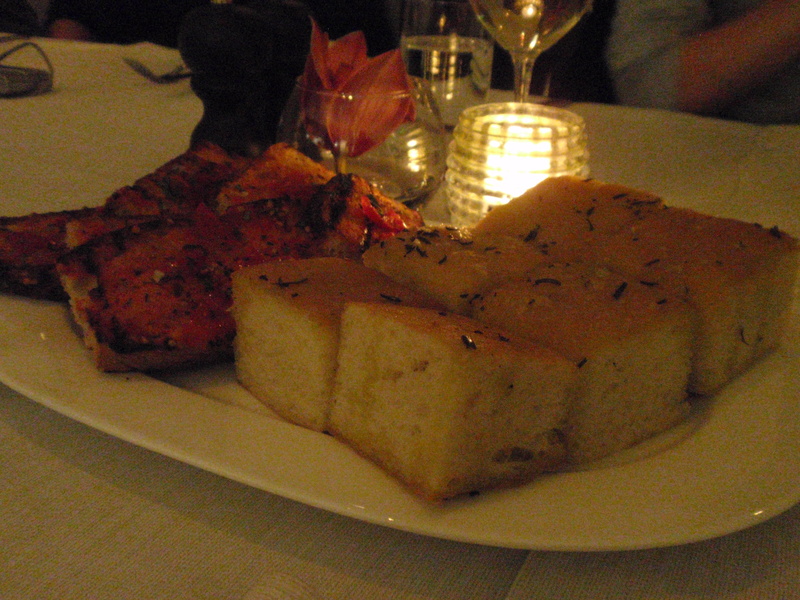 But on with the odyssey, and next up, desserts that we had to find some room for, and quickly. 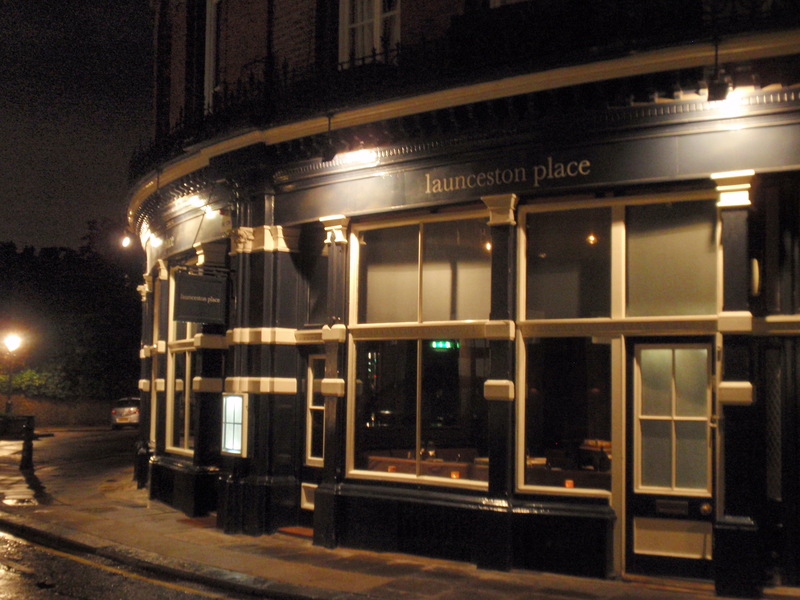 I was the most excited to visit Launceston Place, mostly because Mrs. LF and I had one of our best London meals in recent memory at the very same place a few weeks earlier. Head Chef Tristan Welch had not been there on that occasion, and I wanted to tell him personally how much we had enjoyed his (kitchen’s) food. I like the way that they’ve redesigned this building, which has been a restaurant of various incarnations over the years. The D&D crew have made it into a sophisticated, modern restaurant, with the bold choice of off-black walls, almost broody paintings and nice little individual design touches here and there. 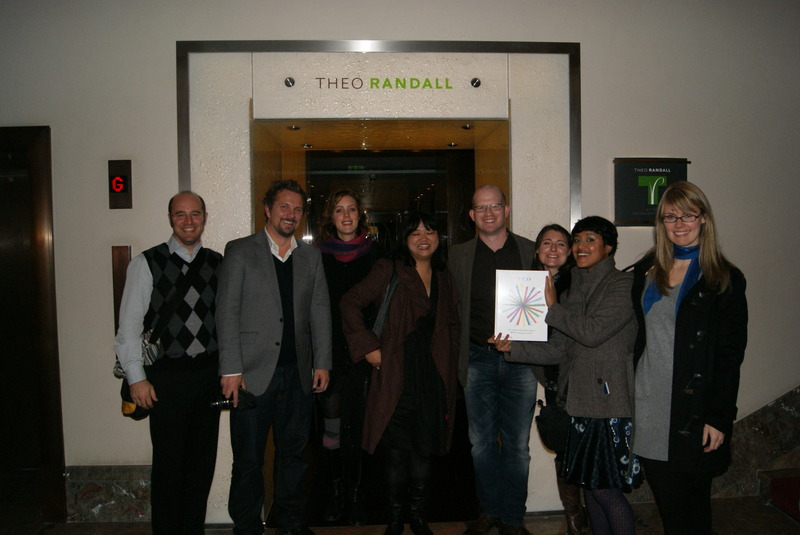 It turned out that Tristan was there to greet us and serve the medley of desserts himself. He was joined by his pastry chef and the sommelier. 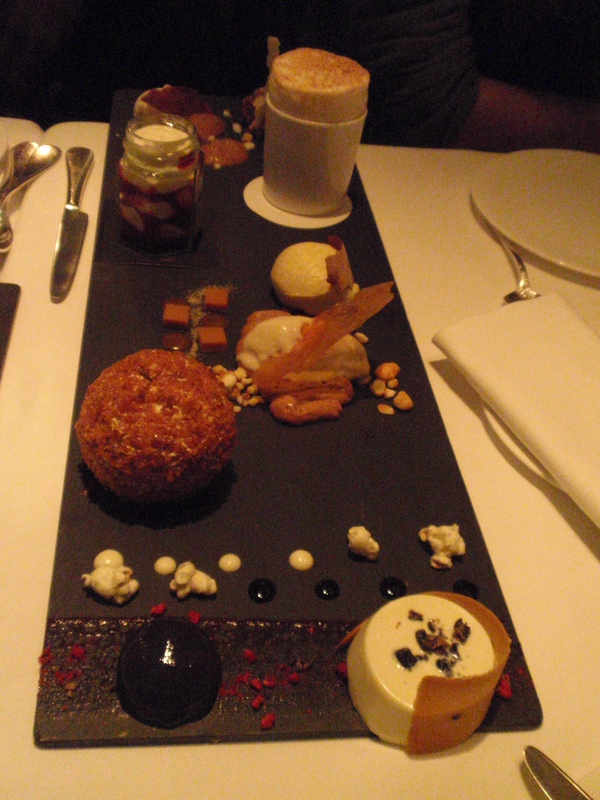 We were all quite simply bowled over when the multiple desserts began arriving on trays of thin black slate. 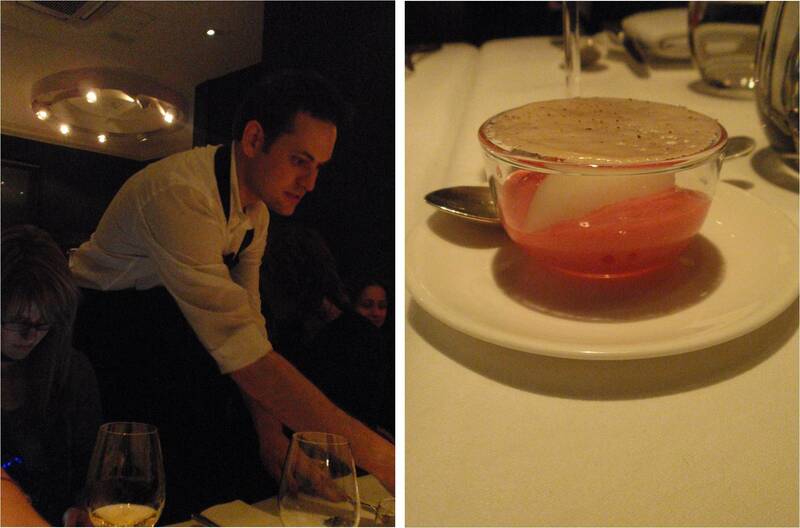 Each temptation was described in full detail by Tristan and the pastry chef, and the sommelier did more than justice to the lovely accompanying dessert white (a 2004 Jurançon, ‘Syphonie de Novembre’, Domaine Cauhape) by explaining what grapes it was composed of and his own abbreviated tasting notes. While I guess I would have liked to hear what he thought after I had tried it (so as not to be biased), it was a lovely description and he was quite clearly passionate about his Jurançon. Is it just me, or do these Jurançon sweet wines seem to have sprouted up on most fine restaurants’ dessert wine lists over the last couple of years? Were they always there and I just never noticed? Well, whatever…on to the desserts! I have to say that I thoroughly enjoyed all of these wonderful creations. I had ordered and liked the set custard cream on my last visit, and found it just as nice this time around. However, it was overshadowed by a few of the other concoctions. The most fun of the bunch was also the most sweet, the apple parfait, which had cleverly been constructed into the shape of an apple, replete with a real apple stem sticking out on top. It was all sweet apple, caramely toffee and it reminded me of the toffee apples we used to get at Halloween. The walnut bits on the outside tried to balance the overriding sweetness, but didn’t quite do the trick. Nonetheless, it was a great dessert, I just couldn’t manage more than a few bites due to its potency. I also loved the dense and indulgent mound of dark chocolate and Steve Grove’s sticky toffee pudding creation (the Guinness ice cream was interesting in a good way). 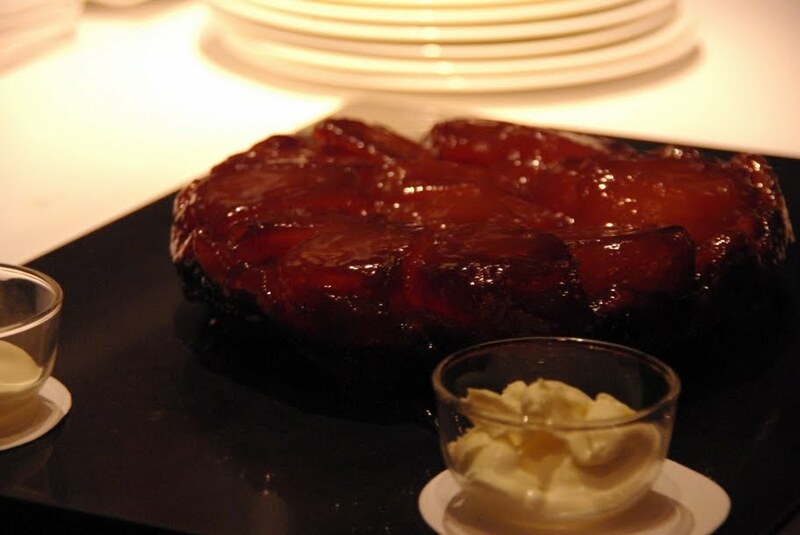 But the triumph of the evening was the Tarte Tatin with homemade clotted cream. It was honestly one of the best ones I’ve ever had. I mean, just look at @mathildescuisine photo of it!!! So that was my little tale of a whirlwind tour of some of London’s top restaurants, their food and their chefs…all thanks to Coco. I hope you enjoyed it – we all certainly did! Thanks to Sauce Communications for organizing everything and ensuring it all ran smoothly. This entry was posted in Finer Fare, Laissez @ Large, Laissez Eats and tagged Coco, Gastro Odyssey, Gastro Tour, House of St Barnabas, InterContinental Hotel London, Jason Atherton, Launceston Place, London, Lyndy Redding, Maze, Phaidon, Quintessentially, Restaurants, Sauce Communications, Theo Randall, Tristan Welch by laissezfare. Bookmark the permalink.